Each year, Future Music Oregon hosts the Summer Academy of Electronic Music directed by Professor Jeffrey Stolet, this year assisted by his graduate teaching fellows Chi Wang and Simon Hutchinson. 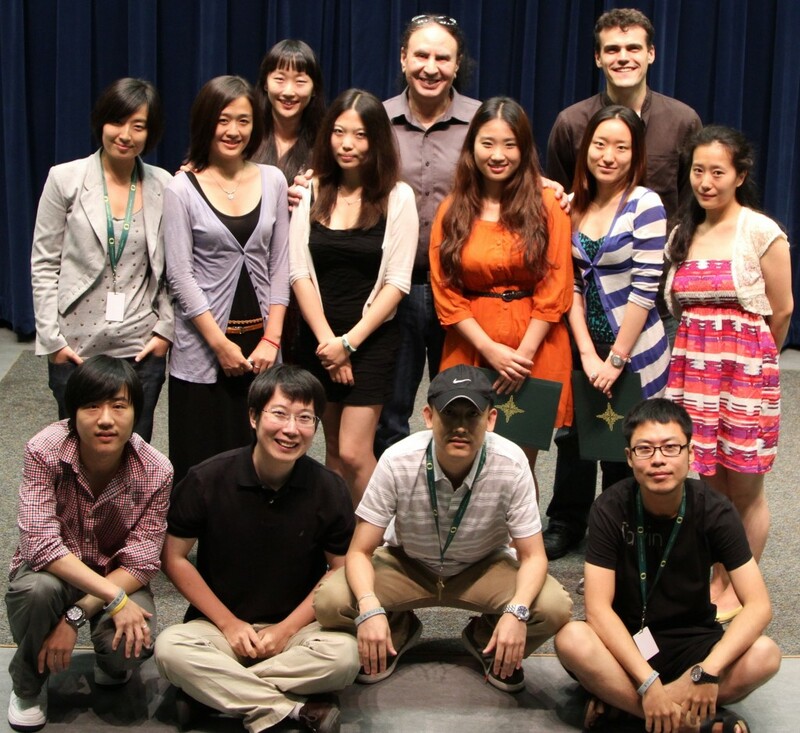 This year’s course, for students from the Central Conservatory of Music, Peking University, and Shenyang Conservatory of Music, ran from 17-31 July 2011 and covered the gamut from recording techniques to the basics of synthesis, and included a final concert of student compositions realized using Kyma. Plans are already underway for Summer Academy of Electronic Music in the summer of 2012. Glen Hall and his electroacoustic improvising group So, NU will be performing at Studio 105 (105 Clarence Street) in London, Ontario on Friday, July 29 at 8:30 p.m. So, NU is Bruce Cassidy – EVI (electronic valve instrument); Eugene Martynec – laptop and MIDIax; Glen Hall – saxophones, flutes, bass clarinet, WWII wind controller and Kyma). 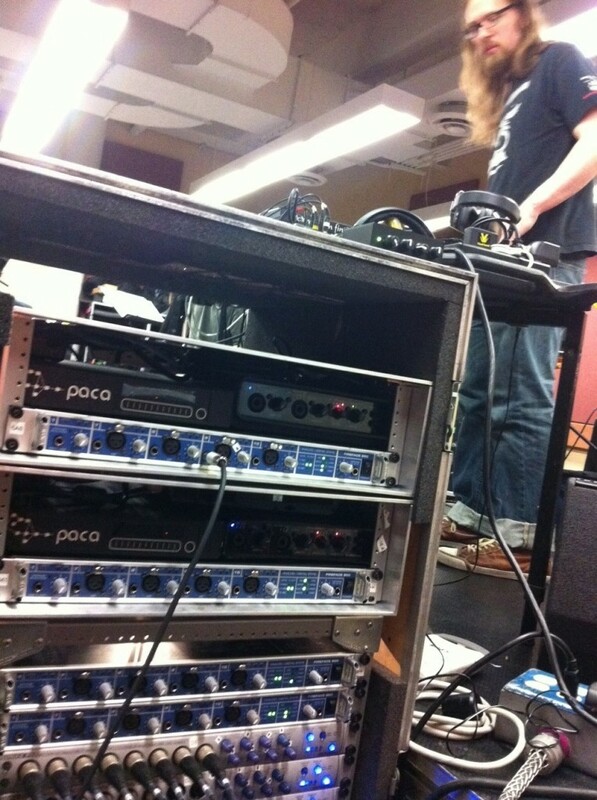 Sarth Calhoun, performing on Continuum as part of Lou Reed‘s band, is touring Europe this July, controlling multiple Kyma/Paca systems for sound synthesis and processing submixes from the band. For a full list of dates in the UK, Italy, and France, visit www.loureed.com and click Appearances. Scot Solida is scheduled to be performing Kyma live with Christus and the Cosmonaughts as part of he 3rd Annual Kansas City Electro-music Festival 2011, Friday, Saturday, and Sunday July 22, 23, & 24, 2011. Streaming live at http://radio.electro-music.com, KC.EM.FEST will feature live performances, DIY workshops, improvisational collaborations, and more. In addition to his live performance on Saturday night (July 23), Scot is going to be presenting a Kyma demo at 1 pm, Friday July 22. The KC.EM.FEST is intended to promote experimental electronic music and musicians in the region and throughout the country and create a stronger network between these artists and the public and the entire event is free! John Paul Jones will once again join forces with Helge Sten and Supersilent, this time for a performance at the Molde International Jazz Festival in Norway on 19 July 2011. …this was no conventional bass solo, as Jones began with relatively normal textures, but gradually moved to greater extremes, using ring modulation to create oblique harmonies, overdrive to create dense textures, and assorted other effects to create a piece that ebbed and flowed, building to periodic climaxes only to settle and begin the climb once again. Beautiful chords gave way to angular expressionism, as Jones delivered a short set that, for those unfamiliar with his post-Zep work, must have been a shock to the system, but set a clear context for the collaboration with Supersilent to follow. Composer Joel Chadabe‘s One World 1, a fixed media piece realized entirely in Kyma, will be performed as part of World Listening Day in New York City on Monday July 18 2011. The piece, based on simultaneously projected images and sounds from New York and New Delhi expresses the essential unity of human hopes and aspirations, no matter the cultural or geographical context. The primary concept behind One World is that we all, whatever the specifics of our different cultures and beliefs, share the same world through a common human bond. “At the same time, it seems clear at this moment in history that the idea of sharing one world through a common human bond is a utopian goal rather than a current reality. It is one of the major problems of our age that inundated with information, much of it disturbing, we view the world today as a complex, turbulent and chaotic system of different nationalities, religions, cultures, and politics, as if the world were one large crowded city overwhelmed by urban noise. We all face the same dilemma. How do we interact with this world? How do we extract humanity from the chaos to focus on individual lives? Yogesh Khubchandani‘s beautiful and mysterious directorial debut, The Acceptance, is scheduled to be screened as part of the Maine International Film Festival, July 15-24 2011, a festival billed as ten days of the best of American independent and international cinema! The Acceptance will be shown on Saturday, July 16 2011 at 8:30 pm. And again on Wednesday, July 20 at 3 pm. During the festival, audiences will have opportunities to meet and talk with the people behind the movies — directors, producers, writers, musicians — as well as have a chance to experience several panel discussions and informal Q&A sessions. Director Khubchandani also did the sound design for the film, using the sounds of birds, wind and water in stark constrast to the rattling drones of machines in order underscore his themes. Like the images, the sound slips easily back and forth between the logic of “realism” and the logic of dreams. Khubchandani credits Kyma for playing a role in the transformation of one of the pivotal sound events of the film: a massive tree falling in the forest. Joseph Fraioli of JAFBOX SOUND has posted a new project on his sound design reel featuring a character called lee that was created entirely in Kyma. 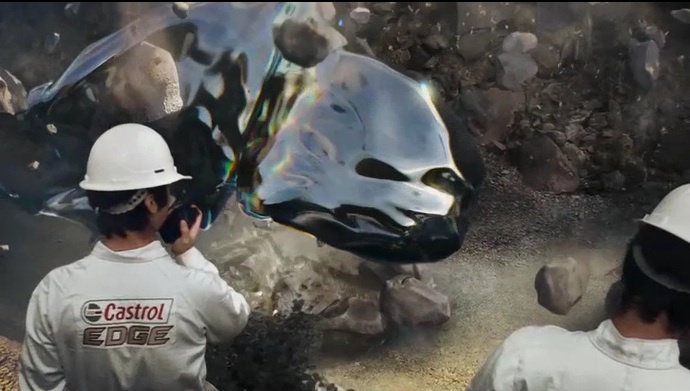 lee is an amorphous formation of oil speeding through its paces on a futuristic test track in a new advertising campaign directed by psyop. To create the voice of lee, Fraioli created kits of vehicle sounds, including bys, accelerations, idles etc and performed them using his Wacom tablet. He recorded all of his performances, selected the best ones, and then edited and layered the results in Pro Tools. Leaving us with the question: why does lee bother to stop at the traffic light?